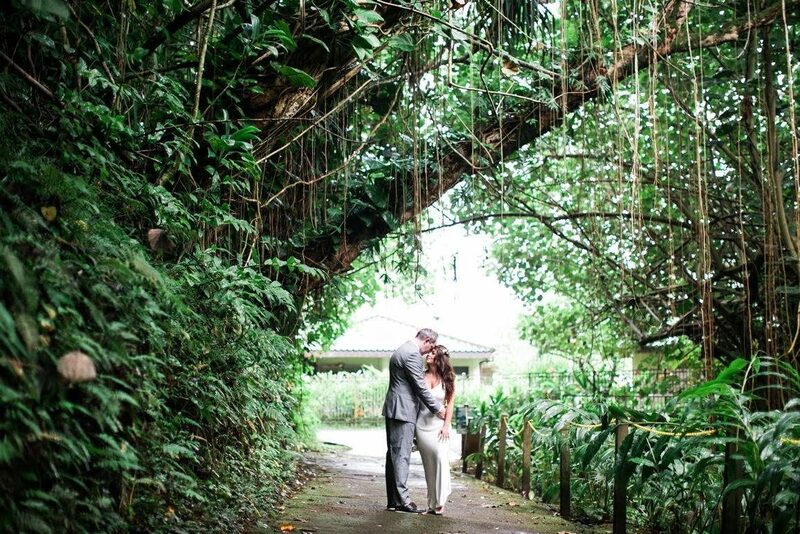 This hidden beach will frame your ceremony with luscious greenery and mountains in the distance. 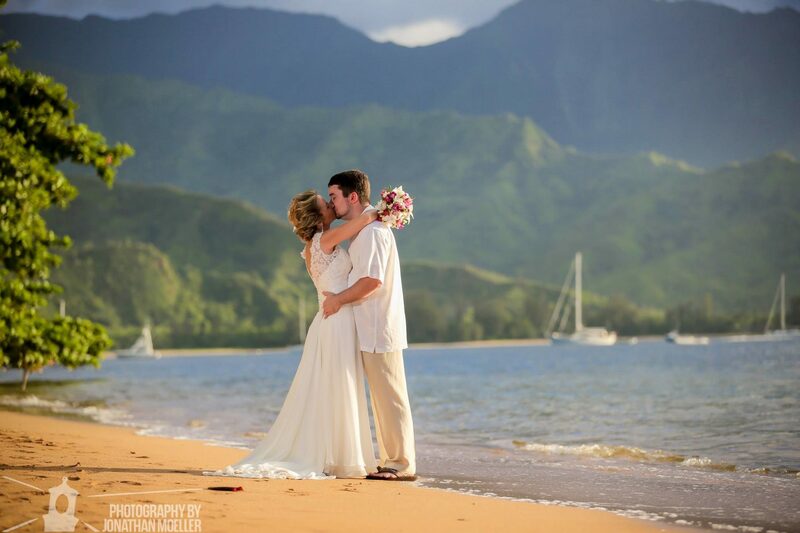 Pu’u Poa Beach is on the opposite side of the river from Hanalei Bay near the St. Regis Resort . Looking over the famous Bali Hai point, the view from this beach is hard to beat. 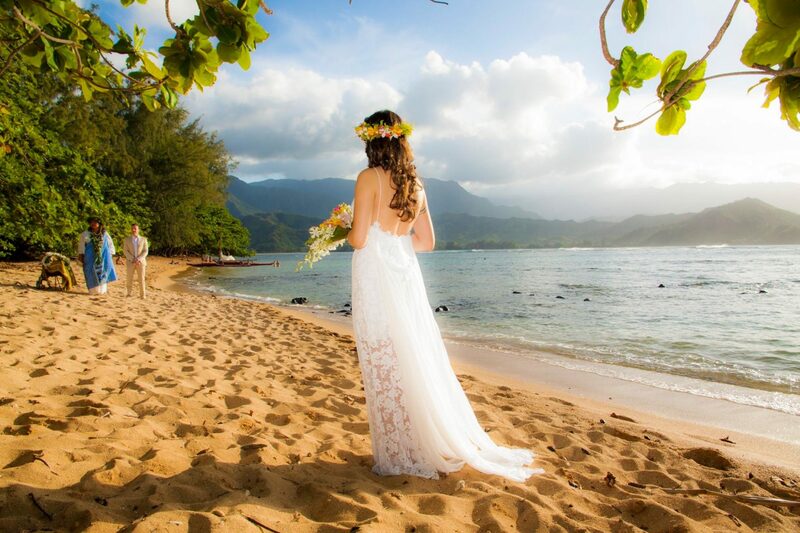 Although this beach is smaller than others, if you are looking for a ceremony that is somewhat secluded with a view of Hanalei Bay, and sunset this is the location for you. The shoreline changes with the surf, narrowing in winter and widening during calm summer months. There are steep stairs set into the hillside that allow public access to this beautiful beach. 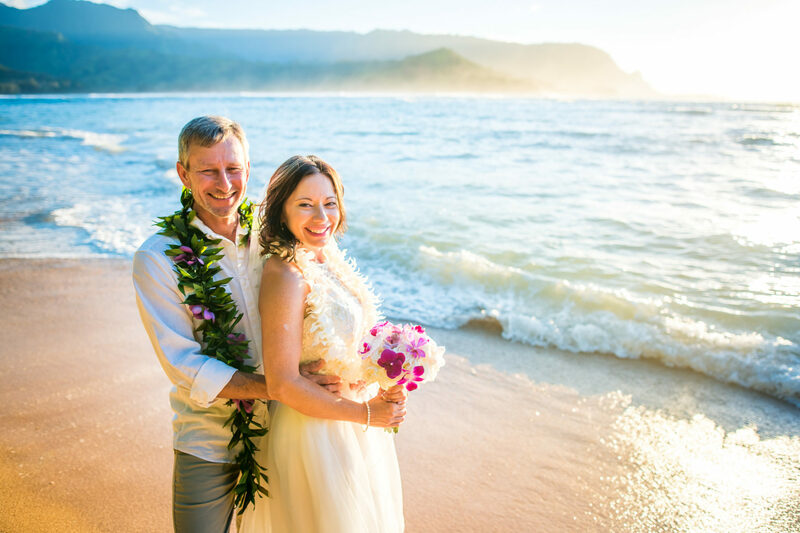 This is an especially convenient location for those staying at the St. Regis and the Hanalei Bay Resort! 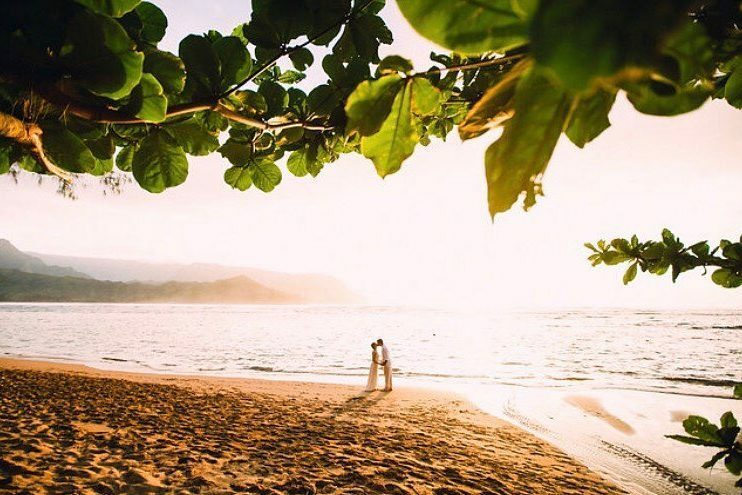 This beach extends from the resort to the Hanalei River and will occasionally lengthen when the tide is low and the sandbar appears which extends Pu’u Poa Beach to Black Pot Beach. You will most likely see swarms of snorkelers out and about because the water off the beach is consumed with reef. However, it’s usually very shallow in summer months.